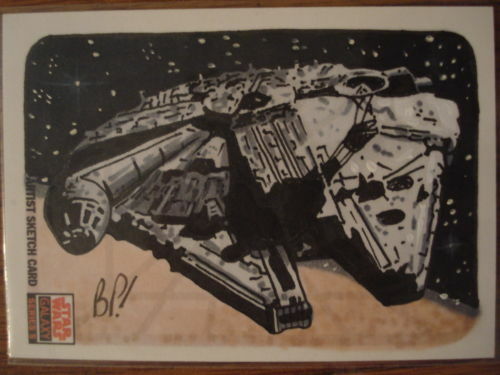 Bill Pulkovski is a new name to me, but these two fine sketch cards by him are on ebay at the moment. The first is this colour image which is priced at$335 (£200). The second is this black and white line drawing. This one’s a more reasonable at $99. Check out his web site for more images. 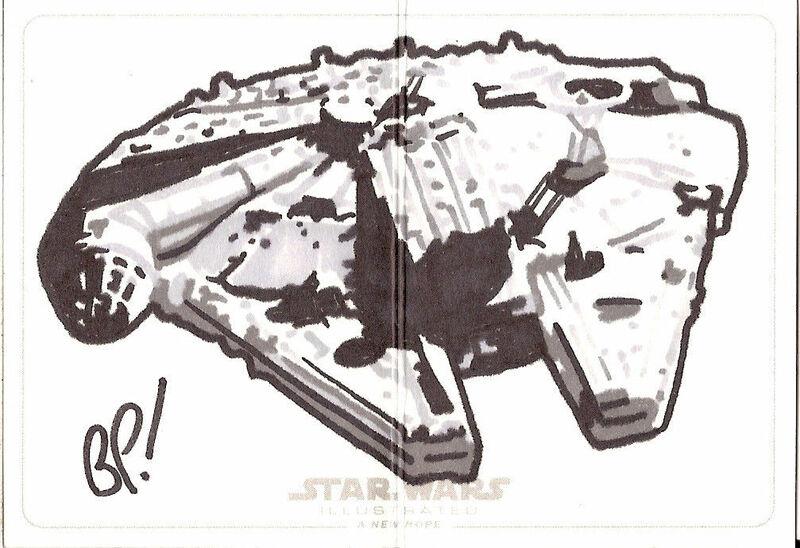 This entry was posted in Art, Things that i don't have yet..., Trading Cards and tagged Art, Bill Pulkovski, Millenium Falcon, Millennium Falcon, Star Wars. Bookmark the permalink.